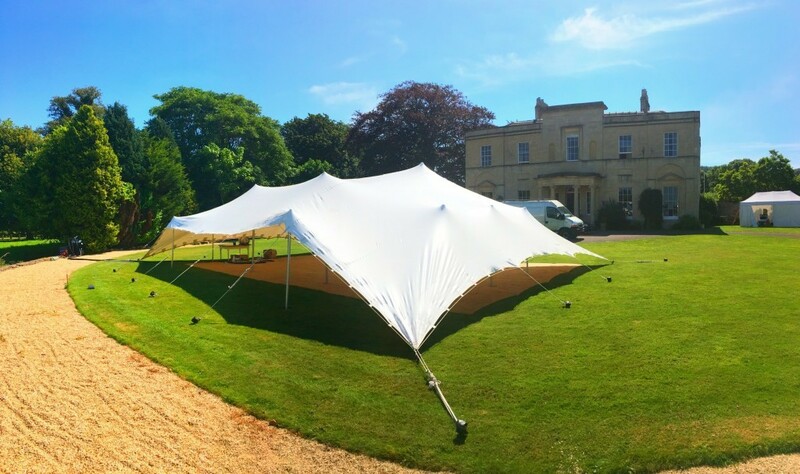 Find out why stretch tent makes the perfect party marquee. 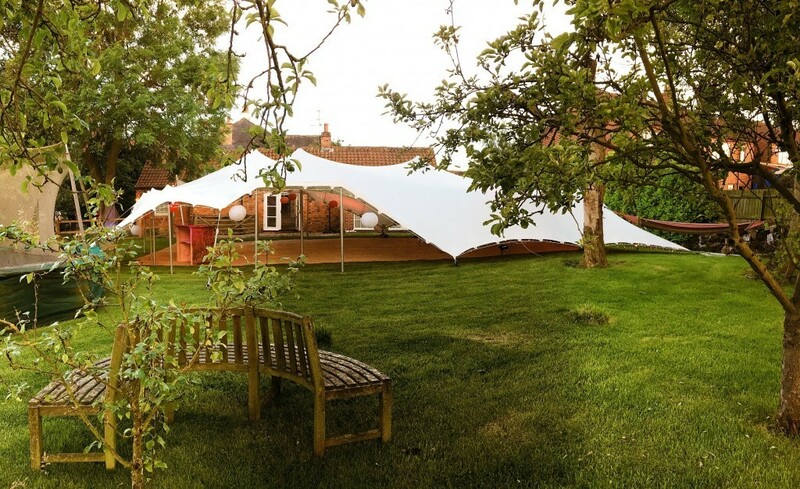 Are you looking for a party marquee tent with style? 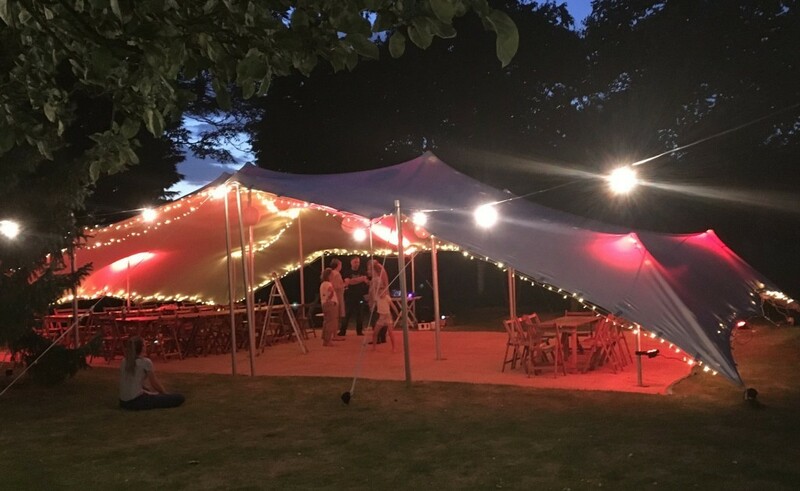 Let me introduce you to our 10m x 15m stretch tent range which is perfectly suited to birthday parties, weddings, hospitality events and many more occasions and celebrations. This is our smaller tent so if you thought you needed a much larger structure get in touch with your enquiries as we can go three sizes up from here! Using lighting and fairy lights can really change the look of the tent once it starts getting darker. Earth Village Events stocks on a variety of lighting solutions which can suit any style. Little touches can go very far. Using extras like furnitures, bunting, coloured lanterns and wall linings can really help to add another visual dimension to the whole picture. 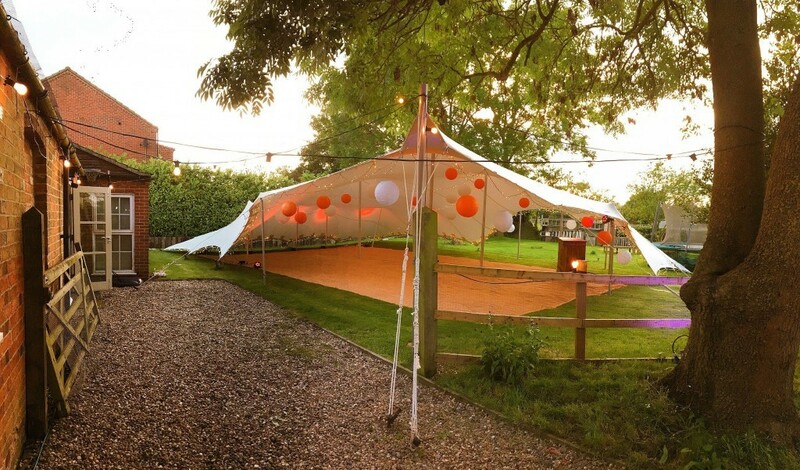 Our party tent marquee can be decorated in many different styles.